VLADIVOSTOK, December 12. /TASS/. A surface combatant squadron of the Russian Pacific Fleet has sailed off for the Indian port of Visakhapatnam to take part in the Indra Navy joint drills, Vladimir Matveyev, a spokesman for Russia’s Eastern military district, told TASS on Monday. The squadron includes the large anti-submarine ship Admiral Tributs and the Boris Butom tanker ship. 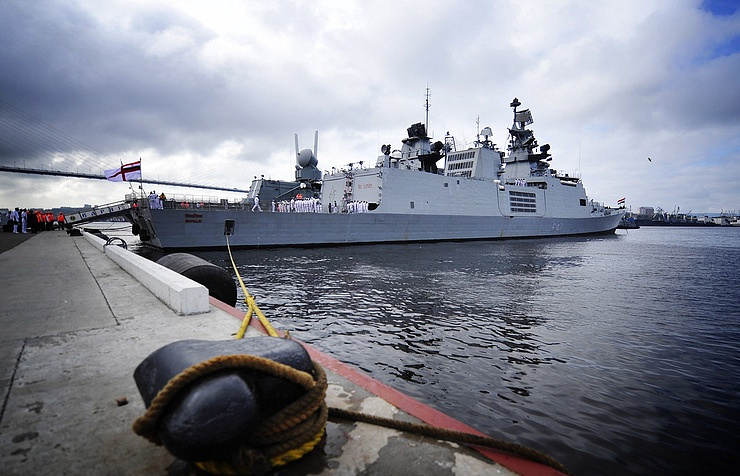 “The squadron of the Pacific Fleet warship is heading to the Indian Eastern Fleet’s base in the city of Visakhapatnam under the command of Rear Admiral Eduard Mikhailov, the commander of the Maritime all-arms forces flotilla. The ships are to reach the destination on December 14,” the spokesman said. According to Matveyev, the squadron left the fleet’s home base in mid-October. Since then, the ships have performed duty tasks in the Pacific and Indian Oceans, have taken part in the Indo Defense international arms show in the Indonesian port of Tanjung Priok and have visited Thailand’s port of Sattahip. The drills will be held on December 14 through 21, in two stages. The coastal stage will be held in Visakhapatnam from December 14 to 18. Its program will include exchange of official visits, conference meetings on coordination, etc. The sea-based phase will take place from December 19 to 21 in the Bay of Bengal. Participants will drill communications and night-time maneuvering skills, artillery shelling at sea-and air-based targets, skills to repel air attacks. 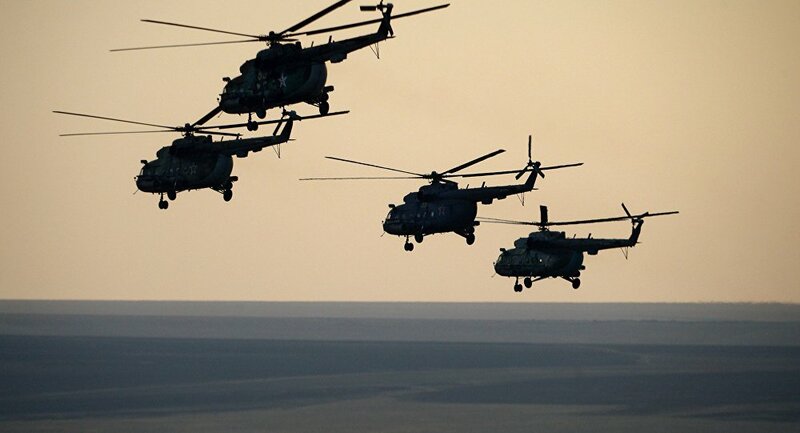 The drills will involve ship-based helicopters. The Indian side will command the exercises. Today, the Minister of Defence of the Russian Federation General of the Army Sergei Shoigu jointly with the head of the Indian military department Manohar Parrikar held the 16th session of the Russian-Indian intergovernmental commission for military and technical cooperation. Speaking at the session, General of the Army Sergei Shoigu stated that double, and usually, triple standards could not be used while fighting terrorism. According to Sergei Shoigu, military departments of Russia and India have achieved progress in joint projects, including ones concerning S-400 air defence systems. He stated that there was a separate large-scale project concerning the fleet. In his turn, Manohar Parrikar stated that recently signed intergovernmental agreement concerning S-400 complexes and joint production of Ka-226 helicopters had become the evidence of progressive development of military and technical cooperation between two countries. According to him, there good prospects in the nuclear field, too. The members of the commission summed up results of the last year work, and assigned high-priority tasks in the field of military and technical cooperation of two countries. The sides have also discussed issues of enhancing bilateral cooperation in accordance to agreements, which had been achieved in course of the visit of the President of the Russian Federation to India on October 15-16, 2016. Moreover, they exchanged opinions on issues of regional security. Today, the Minister of Defence General of the Army Sergei Shoigu has held negotiations in the field of defence with his Indian counterpart. The Head of the Russian defence department invited the Indian specialists to participate in the ARMY-2017 international military and technical forum. He also suggested holding joint exercise of engineer troops of both countries aimed at humanitarian mine clearing on the base of the Russian International Mine Action Center, the specialists of which had taken part in mine-clearing operation in Palmyra. General of the Army Sergei Shoigu expressed his gratitude to the Indian military servicemen and highly assessed their actions during the International Army Games 2016 and invited them to take part in the Games next year. Russian Defence Minister General of the Army Sergei Shoigu has arrived in Delhi in order to head the 16th session of the Russian-Indian intergovernmental commission for military and technical cooperation with the Head of the Indian military department Manohar Parrikar. The members of the commission are to sum up results of the last year work, and assign high-priority tasks in the field of military and technical cooperation of two countries. The sides are also to discuss issues of enhancing bilateral cooperation in accordance to agreements, which had been achieved in course of the visit of the President of the Russian Federation to India on October 15-16, 2016. Moreover, they will also exchange opinions on issues of regional security. On Wednesday, the Minister of Defence General of the Army Sergei Shoigu is holding negotiations in the field of defence with his Indian counterpart.